The ISFJ is one of the most caring and considerate of the Myers-Briggs personality types, sometimes nicknamed “the defender personality” for their dedication to worthy causes and the needs of others. ISFJs have a strong sense of fairness and tend to be very reliable in upholding their commitments. Because of their attention to detail and warm, personable nature, ISFJs make the ultimate caregivers. 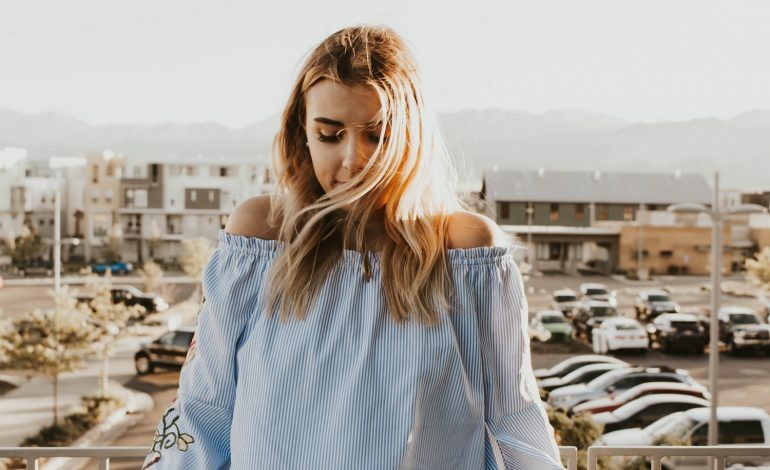 Given those positive traits, it’s no surprise that the world has a lot of ISFJs: At 9-14 percent of the U.S. population, the ISFJ personality is one of the most common types. Do you possess the ISFJ personality? If you relate to most of these signs, you might be one. Because you have strong social skills, are articulate, and can make small talk when you have to, you’re often confused for an extrovert. However, deep down, you’re truly an introvert who needs plenty of time to yourself to relax. Without alone time, like any introvert, you feel frazzled, drained, and easily annoyed. If it weren’t for the fact that people rely on you, you’d probably happily spend most of your time at home, watching your favorite shows, doing craft projects, or indulging in other solo hobbies. Sentimental and sensitive, you’re an emotional person. You may cry easily, whether out of anger, frustration, or tears of joy. However, being an introvert, you don’t usually feel comfortable expressing your emotions in a loud or attention-grabbing way. In fact, sometimes you repress them and hide them from even those closest to you. You may put on a brave face in public, then cry later in the privacy of your home. You have a sharp eye, missing very little in your surroundings. Unlike your INFJ counterparts, who are more daydreamy and “in their heads,” you’re more rooted in the here-and-now. While an INFJ might pass the same billboard on their commute to work and not notice it for weeks, the ISFJ personality noted the first day it was put up, what it advertises, and the company behind it. Your attention to detail can make you invaluable on the job. You notice and remember things that others miss, and you have a strong need to follow through and make sure everything is in order. Sometimes you can be so meticulous that it borders on unhealthy perfectionism. In your most stressed-out moments, you may find yourself obsessing over tiny details and experiencing a high level of anxiety about the things you can’t control. It’s hard not to — everything is personal to you. This often means you go above and beyond at work, in your relationships, and at home. You know that the extra effort won’t always be noticed or appreciated, which can be painful for someone with the ISFJ personality, but it doesn’t stop you from doing just as good a job next time. You make sure everyone has what they need — by working quietly behind the scenes. For this reason, most people don’t realize just how hard you work. In fact, your accomplishments often go underappreciated. That’s because, when things are running smoothly, no one stops to question it — and you’d rather not pipe up. ISFJs are service-oriented personalities who enjoy pleasing others. Sometimes this means people take advantage of them, intentionally or unintentionally. People with the ISFJ personality can grow by learning to say “no” when they already have a lot on their plate. You’re the type most likely to remember someone’s name upon first meeting, your coworker’s birthday, your sister’s favorite restaurant, and your nephew’s shoe size. Many ISFJs enjoy giving gifts because it allows them to draw on their greatest strengths — their incredible attention to detail and their desire to bring others joy. On birthdays and holidays where gifts are exchanged, the ISFJ is likely to have a present for everyone in attendance — often in the right size and color, and always with a practical purpose in mind. They frequently surprise their loved ones by remembering something they casually mentioned months earlier (“I love lavender essential oil!”) and gifting it to them. Even though they may only consider 1-2 people to be close friends, ISFJs often have strong social networks. But ISFJs keep family at the center of their heart. It’s not unusual for ISFJs to take on traditional family roles such as caregiver to an ailing family member or stay-at-home parent. They see it as their duty to make sure everyone is sufficiently cared for. Polite and kind, you strive for harmonious relationships. What others don’t realize is that you’ve got strong opinions — usually about other people’s lives and decisions — that you mostly keep to yourself. With a close friend, however, you may may find yourself letting out everything you bottled up, which can include a very snarky sense of humor. One way for ISFJs to grow is to practice not rushing to judgement. ISFJ careers often focus on well-established fields that have a history behind them, such as education, medicine, and charitable organizations. The security of working for a large, established company helps ISFJs feel comfortable with a job. Many ISFJs become teachers, nurses, caregivers, interior designers, customer service representatives, and counselors — really, anything that allows them to help others in a practical way without having to concern themselves too much with corporate politics. Of course, the ISFJ personality is also drawn to domestic life, and many ISFJs choose a stay-at-home role. If this is you, you’ll be happiest if you’re still connected to a project outside the home, whether it be through a a church, nonprofit, the local school, or a part-time job. The ISFJ personality is a “judging” personality, which means you crave closure. You’re rarely one to begin a task without finishing it. In fact, you probably won’t even start something if you think it’s impractical to get it done. You don’t understand how some people can leave dozens of household projects unfinished or start down a path only to bail on it halfway through. Like your logic-driven twin, the ISTJ personality, you can get stressed in unpredictable or chaotic environments. On the job, you don’t feel comfortable “just winging it,” dealing with gray areas, or having to navigate unclear or frequently-changing expectations. You feel best when you’ve received clear training on how to handle your responsibilities — and you’ll follow that training to a “T.” At home, you likely have a set of routines, and these routines are a source of comfort. This goes for everything from your friends and family to your workplace and beliefs — but it especially comes out in romance. You take dating seriously, and for an ISFJ, relationships are meant to last. You probably won’t date someone if you don’t think it has long-term potential, and when you say, “Till death do us part,” you mean it. Sometimes loyal to a fault, it takes a lot to make an ISFJ leave a relationship. You take things personally — maybe too personally. But how can you not? Doesn’t everything boil down to an interaction between two people? Criticism, especially from those close to you, is like a spear to your heart, and it may leave you brooding for a long time. ISFJs are in danger of becoming martyrs. In relationships, ISFJs may find that they lose themselves to the point of sidestepping their hopes and dreams. People with the ISFJ personality can grow by valuing their own goals and needs, and putting time into them — even if it means spending a little less time on others. You’re definitely not someone who gets bored easily and decides to make sudden changes in your life just to liven things up. You take comfort in knowing what to expect, so change may stress you out. At times, you can be downright resistant to it. Although you’re imaginative and creative in your own way, you’ve got two feet solidly planted on the ground — and others need that. Your ability to be well-rounded and practical, and not shy away from mundane tasks, are among your most valued traits. Even if people don’t always realize it, your friends, loved ones, and coworkers have you to thank for helping keep things running smoothly and comfortably. ISFJs are the ones who pick us up when we need it most, the ones who often think about others first, and the ones who don’t mind doing the tough work that needs to get done. The world would be a much harder place without ISFJs, and your loved ones know that more than anyone. Some of these signs are things a lot of people will identify with, and every ISFJ is going to be a little different. If you can relate to most of them, however, chances are good that you’re an ISFJ personality. Want to be one hundred percent sure? There’s an easy way to find out: Take this free personality assessment from Personality Hacker and see your personality type in minutes.